There's never a dull moment in Southwest Florida. With something to entertain kids of every generation, a few days on our white-sand beaches and everywhere in-between brings you and your loved ones closer to nature, and to each other. Follow this day-by-day itinerary if you're short on time, or use it as a starter if you plan a longer stay. Start your trip by hopping to a secluded island paradise only accessible by boat. A charter cruise will carry you across the wide, blue waters of Pine Island Sound where the perfect conditions for dolphin watching attract thrilling acrobatics above your boat wake. Be sure the kids get a front row view! Look to the air for curious birds like the hawkish osprey and even a majestic great white egret on your way to Cayo Costa, an island state park with a well-preserved natural environment for native wildlife. Be sure to bring beverages and a picnic basket for lunch before exploring the trails threading across this seven-mile long island, or watch the kids run along the white-sand shores to discover untouched shells like sand dollars, whelks and calico scallops. You can even go for a swim in the warm Gulf of Mexico. Just don't miss the boat back! The day begins with breakfast at RC Otters before heading to Bowman's Beach, where a walk in bare feet through the sand uncovers the best shelling in the world. When your pockets are full of keepsakes, drive or bike through the J.N. "Ding" Darling National Wildlife Refuge, where manatees, flocks of common to rare birds and even gators make their home. Reenergize with lunch at the Island Cow before getting hands-on at the Sanibel Sea School. This learning program for kids takes marine life from the barrier islands and puts it within arms' reach. It's perfect for your family's budding young scientists. 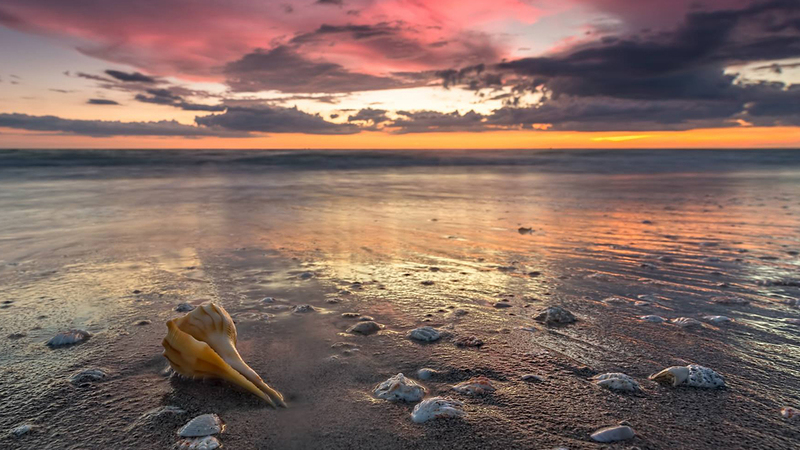 Wind down the day with a stop at the Bailey-Matthews National Shell Museum and see hundreds of shells from around the world before a rendezvous with over-the-top fun at the Bubble Room Restaurant on Captiva. The energetic atmosphere is home to food the kids will love, especially giant slices of cake like the award-winning Orange Crunch. Grab a light breakfast on your way to Sun Splash Family Waterpark in Cape Coral. Cool slides, tunnels and pools keep you drenched in fun. Dry off and head to the Imaginarium Science Center, a dedicated hands-on children's museum and aquarium with enough thrills, chills and animals (including touch tanks) to entertain your most energetic little family members. For a more transformative experience, The Butterfly Estates surrounds you with hundreds of delicate butterflies in their climate-controlled environment. See who in your family can identify the most. Finally, get outside and find more fun in the sun on the smooth sand of Fort Myers Beach. One of the world's safest family beaches thanks to shallow waters and lack of undertow, take the kids swimming, paddle boarding and sandcastle-building without a care in the world. Continue planning your next trip to Southwest Florida by downloading the free Lonely Planet guidebook at FortMyers-Sanibel.com and sign up for monthly newsletter updates. Story written and sponsored by Fort Myers/Sanibel Island.